Can you do this to your grandmother??? Ewww... it's raunchy and absolutely absurd. Why would you for any sakes be that intimate with your grandma? Is that love or what?... besides she is not your side chick. 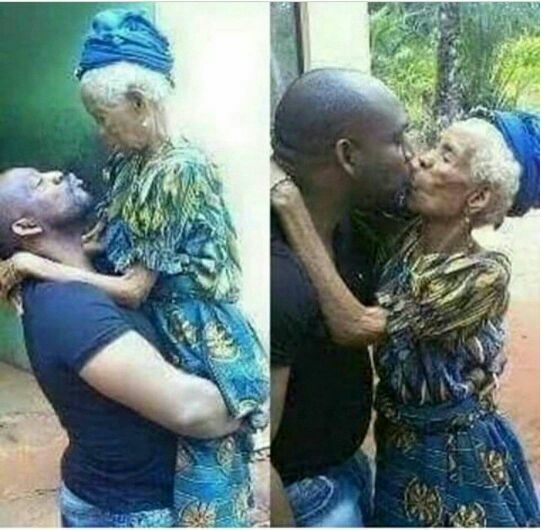 So can you kiss your grand mama like that?? ?